Graduating from the Spokane Community College program in 2005, she then began a course in Psychology at Eastern Washington University. Following graduation from EWU, Stone joined the Mukilteo Police Department, where she worked as Patrol Officer from 2008-13 at which point she became a detective. Stone has since built an impressive record investigating and achieving convictions in major cases, including the notorious Chennault Beach Triple Murder case, working as co-lead for the house party triple murder case, which garnered nationwide media attention. She received the Mukilteo Police Department Commendation Award for her work on this case. Since 2015, Stone has been one of the elite investigators chosen from all police agencies county wide forming the Snohomish County Multiple Agency Response Team. 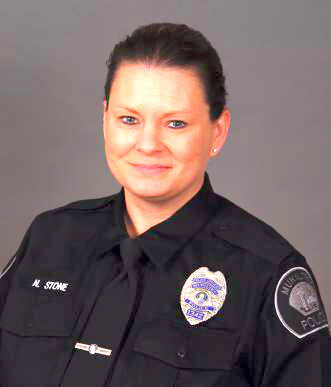 Post 8870 is proud to be able to recognize Detective Stone’s work and to sponsor her to the District 1 and now Department of Washington awards. Our thanks for her dedication to public safety.